God’s love is so expansive that there is room enough for you and room enough for all you know. The cross does not have a limited space available sign on it. Jesus stretched out His arms for all of humanity. God has embraced you completely, placed you within the unearned luxury of His love and given you a part in it. 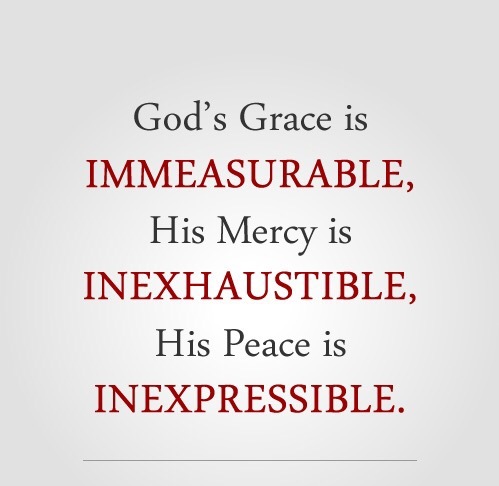 Don’t let God’s grace go to waste. Don’t let your insecurities dictate your obedience. Don’t let fear hold you back from living and giving God’s love. God has placed you where you are for such a time as this. Engage in it with grace. Generously receive it and generously give it. When you find yourself here, smack dab in the center of God’a grace, you can’t help but want to reach out to those who don’t know that there is room in God’s love for them to. Don’t waste a second. Someone out there desperately needs to know it.